exoVentures, LLC maintains this web site to provide you with information, and for education and communication. Please feel free to browse the site. You may download material displayed on this site for non-commercial, personal use only provided you also retain all copyright and other proprietary notices contained on the materials. You may not, however, distribute, modify, transmit, reuse, re-post, or use the contents of this site for public or commercial purposes, including the text, images, audio, and video without the permission of exoVentures, LLC. You should assume that everything you see or read on this site is copyrighted unless otherwise noted. exoVentures, LLC neither warrants nor represents that your use of materials displayed on this site will not infringe rights of third parties not owned by or affiliated with exoVentures, LLC. While exoVentures, LLC uses reasonable efforts to include accurate and up to date information on this site, it makes no warranties or representations as to its accuracy. 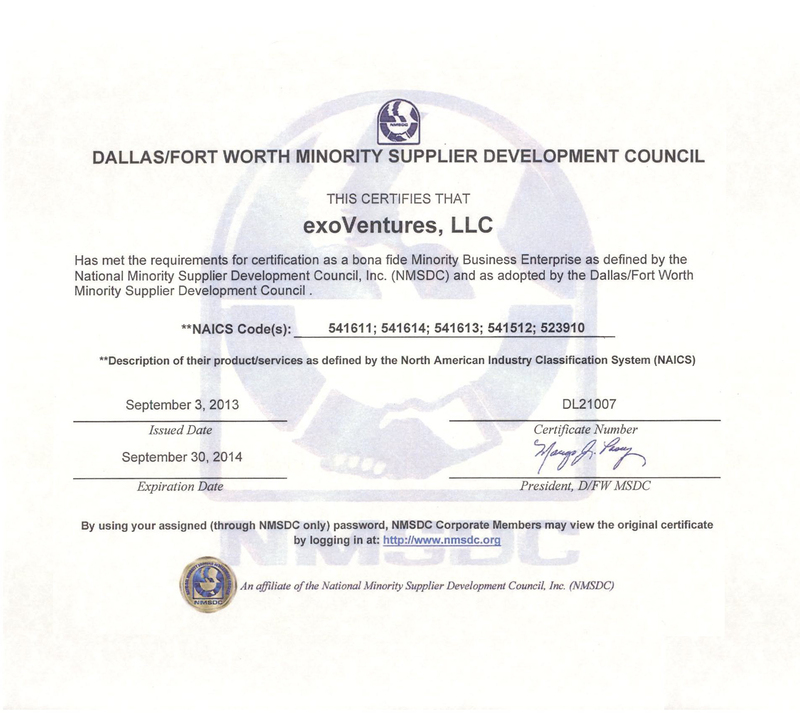 exoVentures, LLC assumes no liability or responsibility for any errors or omissions in the content on this site. Any communication or material you transmit to this site by electronic mail or otherwise, including any data, questions, comments, suggestions, or the like is, and will be treated as non-proprietary. Anything you transmit or post may be used by exoVentures, LLC, or its affiliates, for any purpose consistent with the posted exoVentures, LLC Web Site. exoVentures, LLC has not reviewed all of the sites linked to this site and is not responsible for the contents of any off-site pages or any other sites linked to this site. Your linking to any other off-site pages or other sites is at your own risk.